Lavo's Saturday Champagne Brunch, Returns October 18th 2014. Every Saturday from 2:00pm - 6:00pm. Located directly on Las Vegas Boulevard, Corporate Executive Chef Ralph Scamardella and his experienced team treat guests to a culinary voyage with selections of classic Italian dishes. Signature highlights include the one-pound Kobe Meatballs, served with sausage ragu and whipped fresh ricotta, and the Lobster Scampi Pizza, baked straight from a wood burning brick oven. On Saturdays, indulge in a brunch experience like no other on the Las Vegas Strip. This signature daytime event provides a full menu including extravagant OTT dishes and later transforms into an explosion of neon lights and confetti showers. Whether indoors in the famous LAVO dining room surrounded by modern luxurious décor or on the patio overlooking the hustle and bustle of the Las Vegas Strip, party-goers are greeted with a double decker affair offering electronic dance music on the first floor and Hip Hop music upstairs. tim our server along with the rest of the staff were prompt, courteous, professional and friendly without being pushy. we had the chilean sea bass which unfortunately came out a bit over cooked but other than that the raw clams and caesar salad were great. thanks! 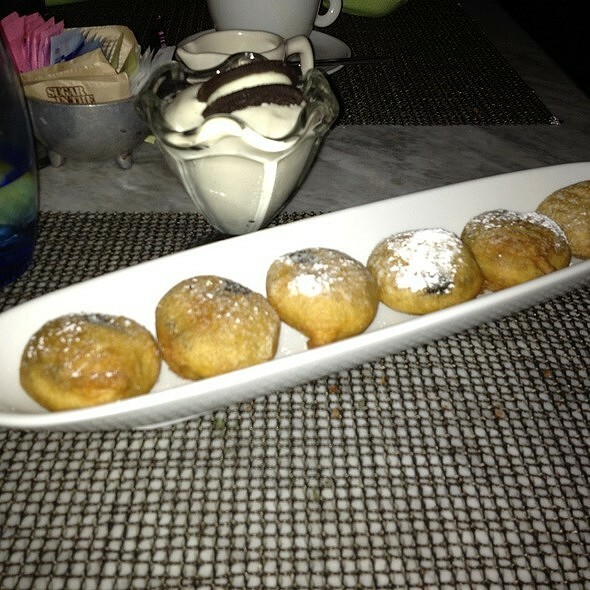 This was my second time visiting Lavo and for some reason, the food was not as good as the first time. I ordered the linguine with seafood and the spaghetti sauce felt heavy almost as if the food was reheated. The calamari was super salty as well. The spaghetti carbonara was to die for. Excellent service and a beautiful ambiance as well! Love the vibe of Lavo. But we were very disappointed in the food quality. It just didn’t taste good. And the lasagna was dry !! The waitress had big attitude - has to ask for water twice and ice for the water twice. It was $300 for a dinner for three. No appetizer and no dessert. There are better restaurants in the area. Great sea food and wine selection. Good for family or couples. Sending or third time back. Never disappoints. Good was amazing as always. Service was friendly and attentive as always as well. Would definitely recommend if looking for Italian. 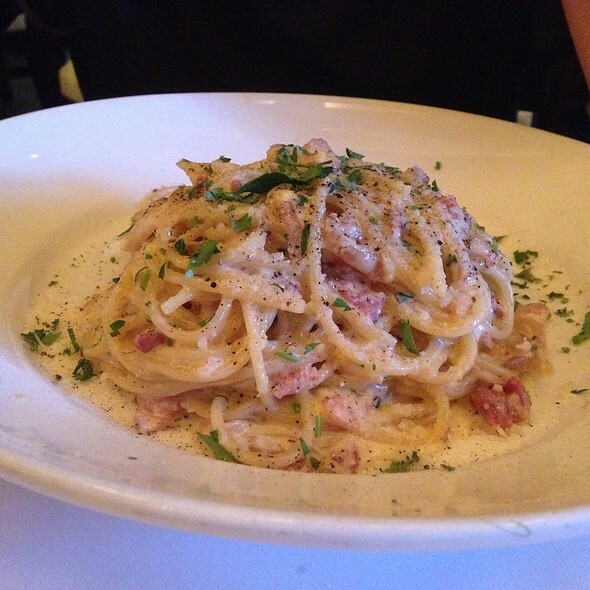 My go to here is the carbonara. 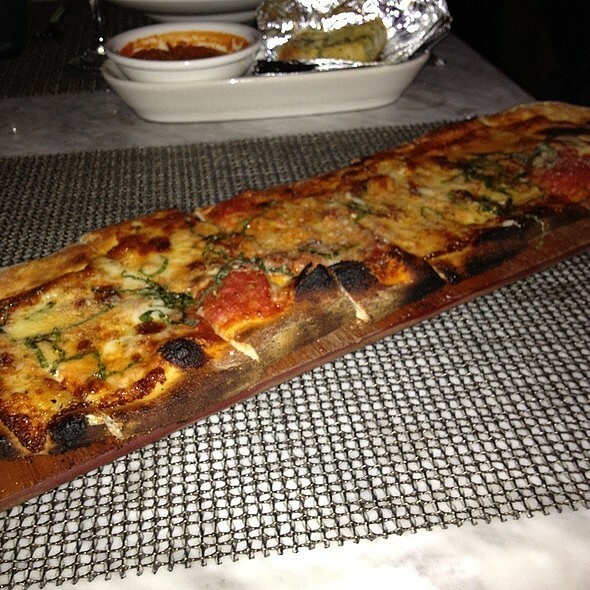 Lavo was once a top Italian pick for me for one reason and one reason alone: their garlic bread and marinara. Everything else is standard at best, especially for the price tag. Sadly, they made the decision to change to focaccia (just as average and expected as everything else). This will be my last Lavo dinner experience; there are several other options on the strip I would prefer and recommend in light of this change. Open table let us make a reservation at 10:45 and the kitchen closed at 11. We were rushed to order everything we wanted to eat in 15 minutes. The food was great. 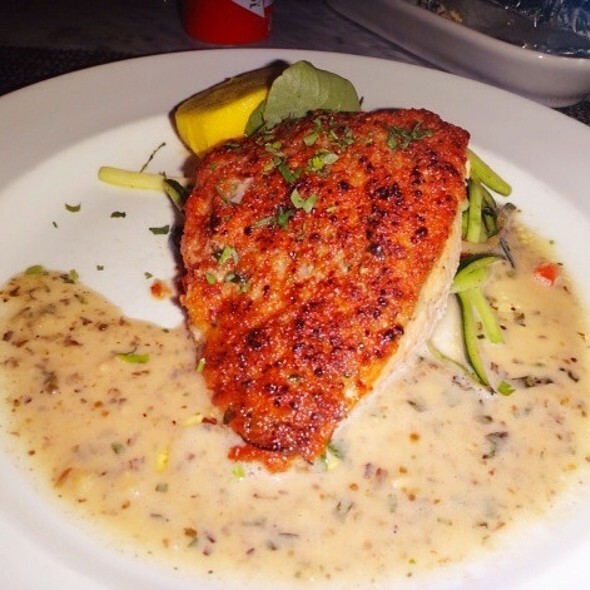 Food was great as always and the service was outstanding. 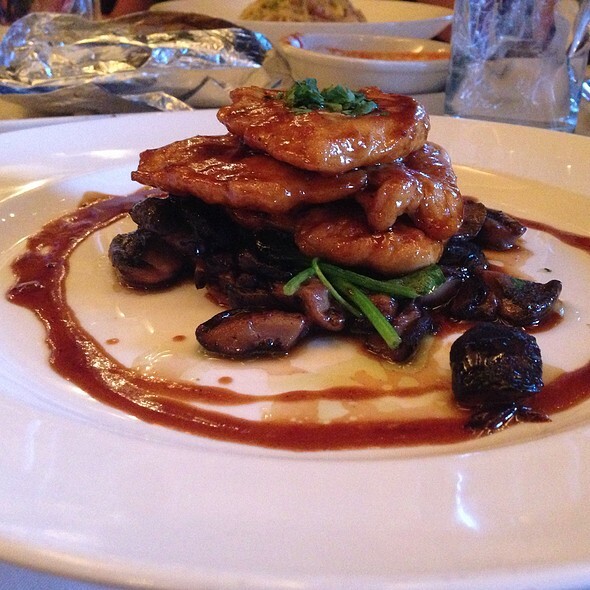 We go for the ambiance and food - the wonderful service is a bonus. Thanks to Nicky and Danielle especially! Drinks, food and atmosphere - fantastic! The wait staff was incredible, including the bartender. One of my favorite places to dine when visiting Las Vegas. My husband and his friend LOVED their steaks. Others in our party LOVED their pasta dishes! My favorite dish is the Eggplant Parmesan! 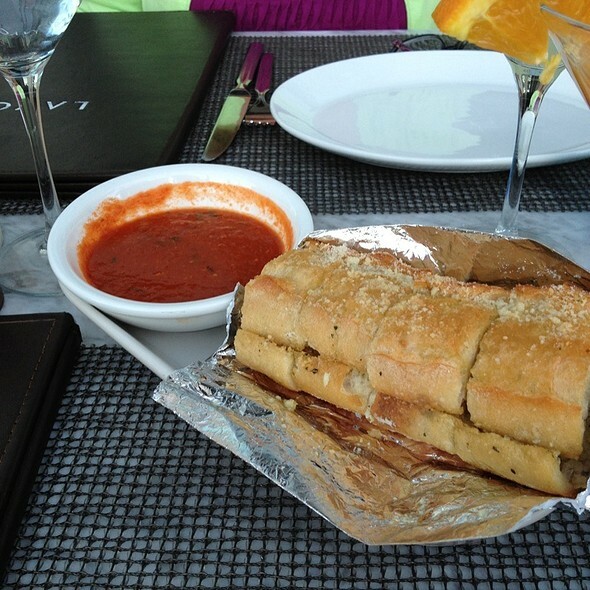 (An appetizer, but big enough for an entree.). Highly recommend. Great experience. We unfortunately had to wait a while for our reservation and the food took almost an hour to come out! Nice place and we ate there two nights in a row for dinner. Had our meal outside both nights. Great Caesar salad! It was a celebration for my birthday, had an amazing time, would not have gone anywhere yet. Little to no gluten free options. Barely waited on. No spice/ bland tasting, I can make better pasta. This place is a must go for Itslian cuisine. Food and service was top notch. Amazing place , table was running late but when we did all get seated the waiter who was excellent went out his way to make it up to us . Food portions are massive and best shared . They even gave a little pudding birthday cake for the wife. Overall worth the wait for a top class restaurant. We waited a while for a good table, but it was worth it. Excellent food! The wait staff were phenom! Attentive without being too intrusive. The food was delish! I had the Seafood Alfredo... it was hands down the best Alfredo I've ever had!! including my own!! This restaurant was packed to the gills. They had so many tables jammed in there and you could barely walk through. The noise level was ridiculous and you couldn’t even hear across the table. It was like being in a nightclub. The food was mediocre for the price. I have been here once before, but I won’t return after this visit. 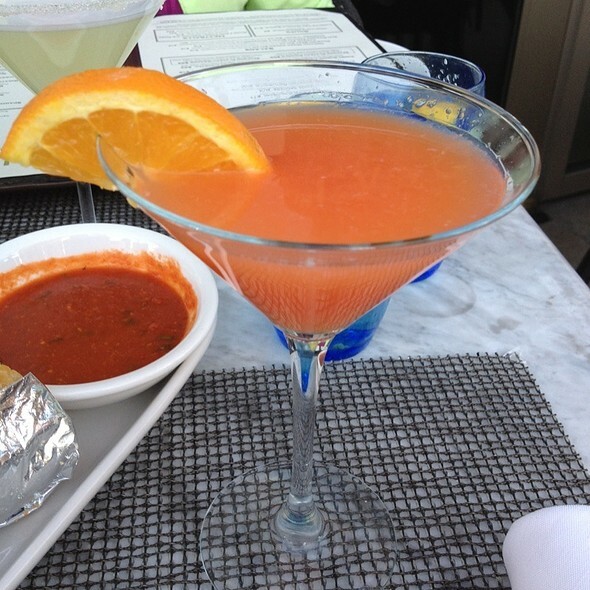 Great from reservation to seating. Dish excellent in plating, portion and especially taste. Our waiter was engaging, helpful and prompt. Will be back, and I’ll bring friends. Would have like to have Italian music playing, but other than that was good. 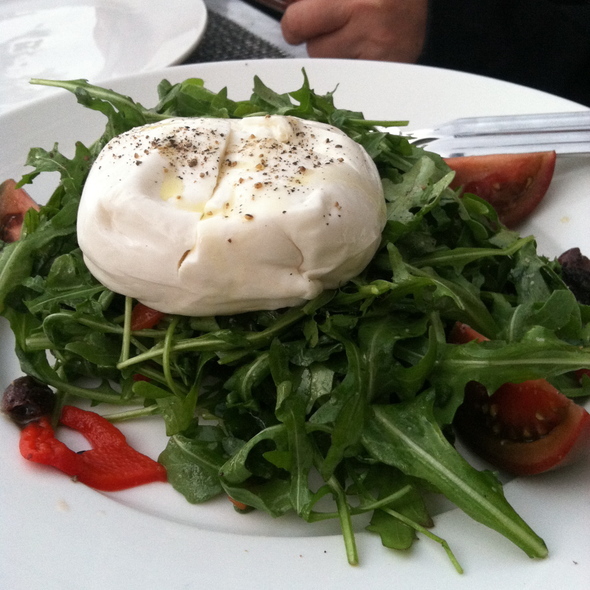 Poorly executed, very expensive, and generally flavorless Italian food all wrapped into an otherwise great atmosphere with super friendly service. It’s a shame the food wasn’t better. We had the giant meatball as an appetizer, not as heavy as one would think and excellent. 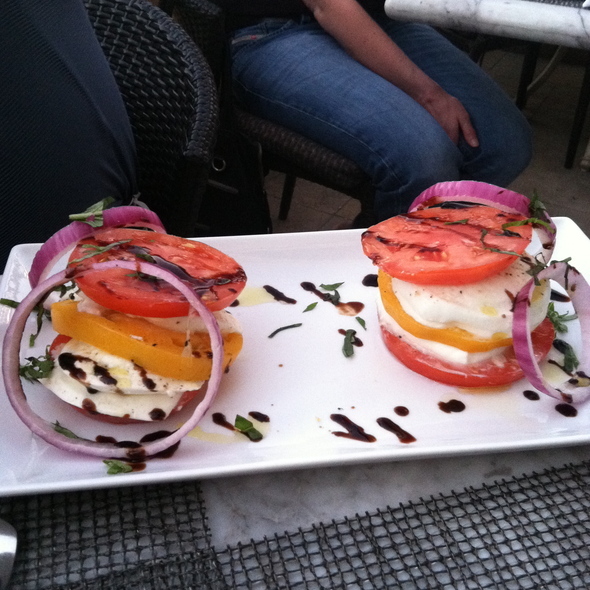 Eggplant was perfect and the Louie was good. My only issue was the choice and tempo of the music. Is this more night club then restaurant? Music was a little loud and not music one would normally choose for fine dining. Service was first class and regardless of the music we would probably visit again. We decided to go there for Sunday brunch. We were the first people there when they opened the doors at 10. We asked to sit outside. They proceeded to take us to the very far end of their space. Aweful conditions. I normally ask to be moved but since the service was not attentive, I figured forget it. Had to get up and go inside to get coffee delivered. Food was just ok. Ordered the lobster eggs Benedict and it was so tasteless that I left part of it behind. Will never go back. Super disappointed. I had the steak and it came out burnt, the fish had bones in it. The only good thing from the menu is the meatballs. Server was ok, took them 10 minutes to come say hello and bring water once we were seated. Was highly disappointing and will not return to Lavo. Birthday! Everything was delicious and the service is outstanding! We sat outside and the weather and atmosphere were perfect! Food and drinks were very good! Great place to go.